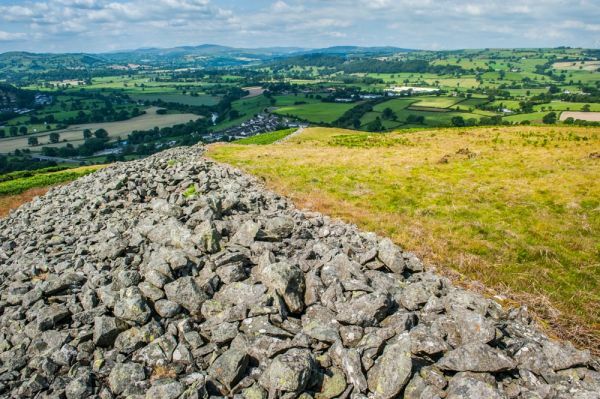 This massive Iron Age hillfort is set on the slope of a hill overlooking the attractive town of Corwen and the meandering River Dee. 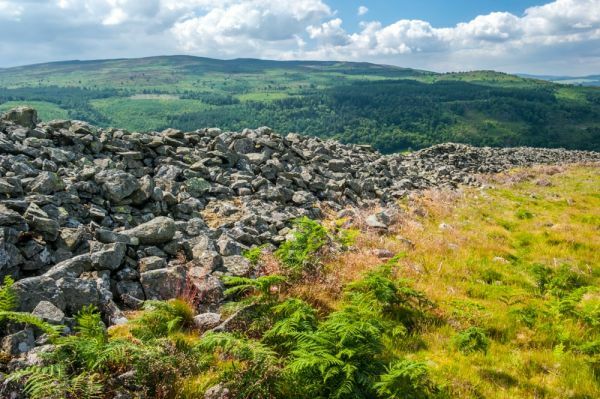 Unlike most hillforts, Caer Drewyn has walls of stone, rather than the more typical earthen banks and ditches. The fort is composed of a huge rampart with entrances on the north-east and south. The north-east entrance must have been the main entrance, as there appear to be sizeable guard chambers built onto it and an extra layer of defence in the form of a deep ditch. Nearby is a triangular enclosure, added at a later time. 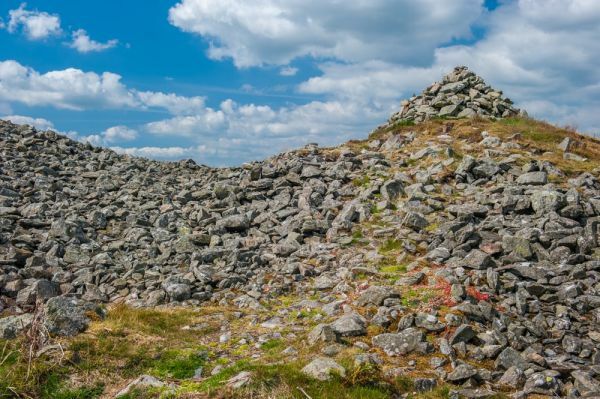 Within the enclosing walls are evidence of circular stone buildings. On the east side of the site are remains of an earlier Iron Age enclosure built before the encircling stone walls were added. Examination of the site revealed evidence of timber houses built on platforms within the walls during the medieval period. 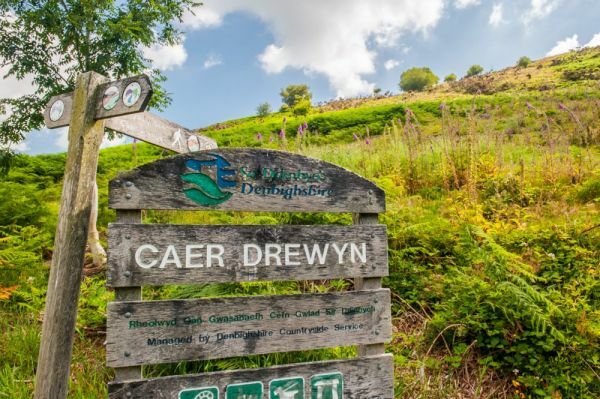 Legend suggests that when local nobleman Owain Gwynedd proclaimed himself King of Wales, he gathered his forces here at Caer Drewyn while he waited for the approach of Henry II's English army. 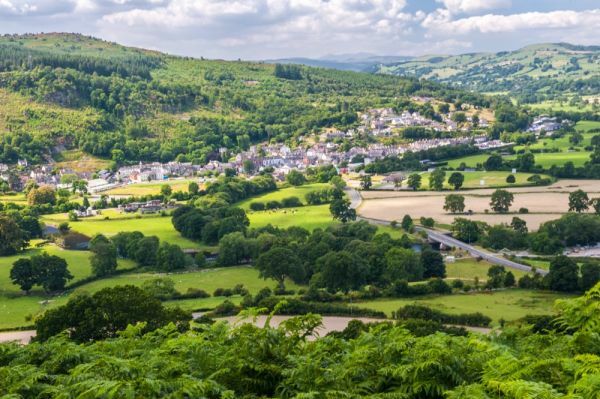 Two centuries later, another Welsh rebel, Owain Glyndwr, gathered his army here to launch his revolt against the English crown. Reaching Caer Drewyn is fairly easy. The easiest way is to park at the leisure centre on the B5437, which runs parallel to the A5, on the north bank of the Dee, across from Corwen. From the entrance to the parking area proceed west along the verge of the B5437 about 50 yards to a small lane. Follow the lane to the end, and climb a stile. There is an information sign, and a signpost indicating the route, but it's fairly obvious without the signpost anyway! Just head up the hill, and follow the trail as it climbs around the base of the hill fort to the east and then more steeply, to the north. The walls of the hillfort will come into view after only 20 minutes or so from leaving the leisure centre parking area. 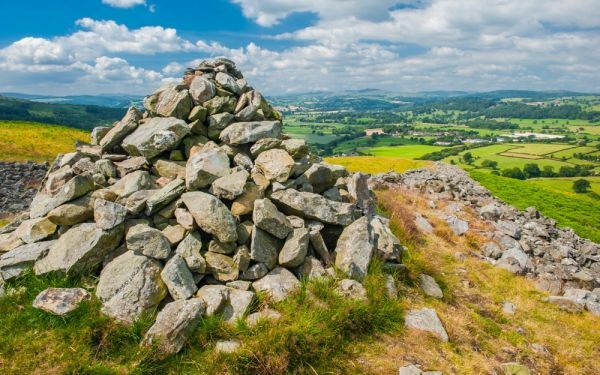 The reward for your exertion is a wonderful view from the hillfort. I must say that I was unprepared for how impressive Caer Drewyn actually is. Though I researched the site before visiting and knew that the walls were made of stone, it was only when I actually stood at the main entrance and looked down the length of the walls that I really began to appreciate just how much work must have gone into creating the fort. My goodness, this was a project and a half! Wow! This cottage is located in the village of Corwen, near Llangollen, and can sleep five people in three bedrooms.